Home•First Do No Harm: Are “Voluntourists” A Boon Or Bane For The Communities They Serve Abroad? What’s your idea of the perfect vacation? Is it lying on a beach, tanning and gazing at the lapping waves? Or skiing through fresh powder on a snowy mountain? If you lean more toward the latter, you might just be a voluntourist (a mashup of volunteer and tourist) – part of the fastest-growing segment of the global travel industry, a multibillion-dollar cash cow involving millions of do-gooder travelers willing to spend their leisure time and money to help the world’s needy. 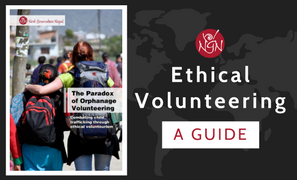 It may seem like a win-win situation for all involved, but, considering that most voluntourists are unskilled and many projects fail to make a lasting impact, the jury is still out on whether voluntourism is a boon – or a bane – for the communities it purports to serve. Voluntourists’ reasons for trekking abroad are varied. One might desire to experience a foreign country more authentically than they could at an all-inclusive resort. Another could be a college student filling in a gap year and looking to add volunteer work to a resume. A third might be someone with a genuine altruistic desire to improve the world. Whatever their motivations, millions are opting to hike the voluntourism trail these days. 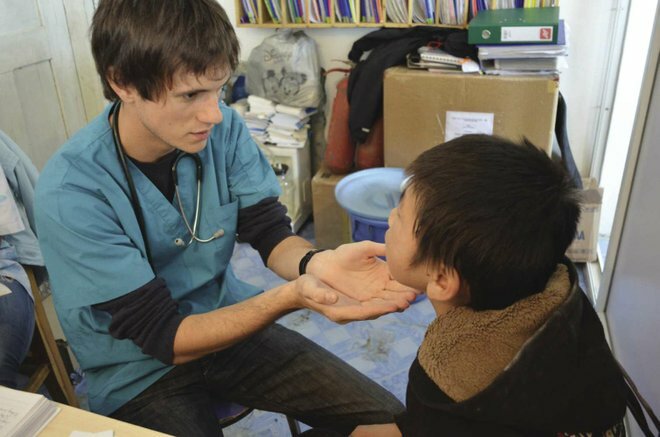 However, Dr. McGehee notes that voluntourism is a broad term encompassing many different types of travel, so it’s difficult to put a precise number on the value of the industry. Pippa Biddle is a writer whose upcoming book, “Ours to Explore: Privilege, Power and the Paradox of Voluntourism,” is set for publication in 2020 by the University of Nebraska Press. She says that a commonly quoted value of the industry is $2.6 billion annually. Search “voluntouring” online, and more than 20,000 results pop up, including many agencies anxious to sell you a voluntouring vacation package. Their websites are filled with photos of travelers smiling with local children in foreign countries, weeding stone steps on the Inca Trail in Peru or clearing a site for a new playground in Jamaica. Discover Corps in San Diego, one of the largest agencies, offers an eight-day trip to Belize to help monitor the manatee population, priced at $2,995, which also features visits to waterfalls and tours of Mayan ruins. Or you might help develop learning materials in Guatemalan schools on an eight-day vacation costing $1,995 – while staying in three-star hotels. Volunteers often live and eat with host families. Projects Abroad has more than 600 staff members who live in each country where projects are underway to assist volunteers. Trip prices range from under $2,000 to more than $5,000 – plus airfare – depending on the duration and type of trip. Despite the feel-good message marketed by these groups, voluntourism has come under heavy criticism. While some organizations are doing work that is genuinely beneficial, others merely make empty gestures of helping – with no positive results, according to critics. Money inevitably corrupts systems. UNICEF found that 77 percent of “orphans” in Cambodia had at least one living parent, and many were being used to attract voluntourism dollars. Lumos, an NCO founded by “Harry Potter” author J.K. Rowling, found that 80 percent of children in orphanages worldwide were not actually orphans. One of the world’s largest group voluntourism agencies, World Challenge, decided last year to halt orphanage visits altogether so as not to support such facilities. “Not to say every single orphanage is abusing children or putting children in harm’s way, but it has been found that enough of them are doing it to make it deeply concerning, especially when we already know that institutionalization is negative for children,” Biddle says. Thus, experts advise contacting a volunteer project directly to arrange a voluntourism trip rather than going through an agency. That way, you can rest assured that the work you’re doing is truly benefiting the intended cause and not just lining the pockets of agencies looking to lure naïve travelers. Such agencies are held to no standards – ethical or otherwise – because voluntourism “is an unregulated phenomenon. There’s no protection there,” says Dr. McGehee.